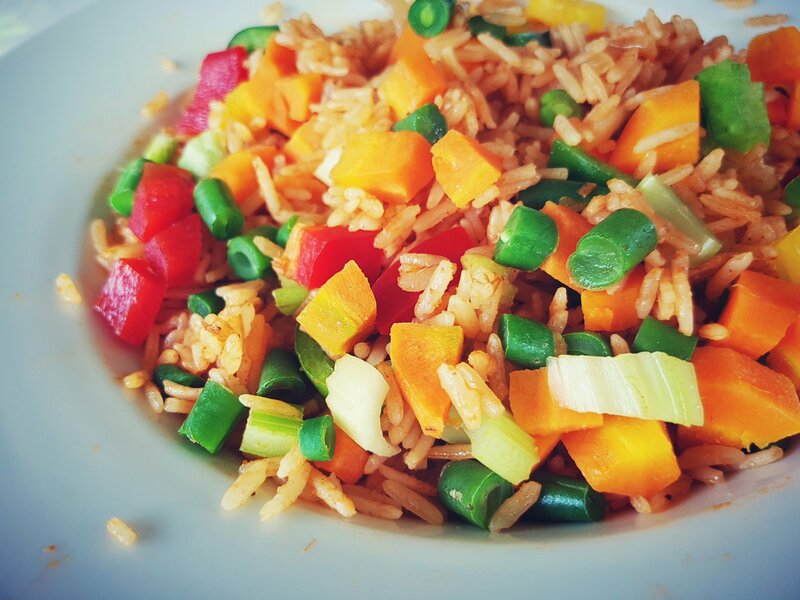 Classic Vegetable Fried Rice Recipe / How to cook classic vegetable fried rice. Fried rice is very common in west African birthday parties, celebrations of all kind, weddings and jubilees. Africans spend their time on facebook debating and arguing on which African country cooks the best Jollof and fried rice. The answer is simple; It’s not about the country but about how a particular person customizes his/ her recipe and how it taste. I usually make recipe to yield a maximum of 12 people but this one is abit special because it yielded 20 particularly because i made this recipe for a new year celebration party, my measurements are abit much than a usual home dish for 4 – 6 people. I used lots of vegetables for my fried rice and this makes it extra healthy. One thing with some recipes are that you can actually customize them, and that is exactly what l have done with this one. The diced celery gave it a wonderful flavor. The meat stock add more goodness to this fried rice not to mention the ginger and garlic paste which was a great blessing and added taste to this delicuous goodness. We all know the rich qualities of ginger and garlic . 1 tsp African curry powder. 1/2 cup shredded dried crayfish. In a wok, fry onion and vegetable oil, add tomato paste , ginger and garlic paste , african curry powder , stock cubes and stir properly until done . Place your rice into the source and stir, pour diced meat stock inside your rice and stir. 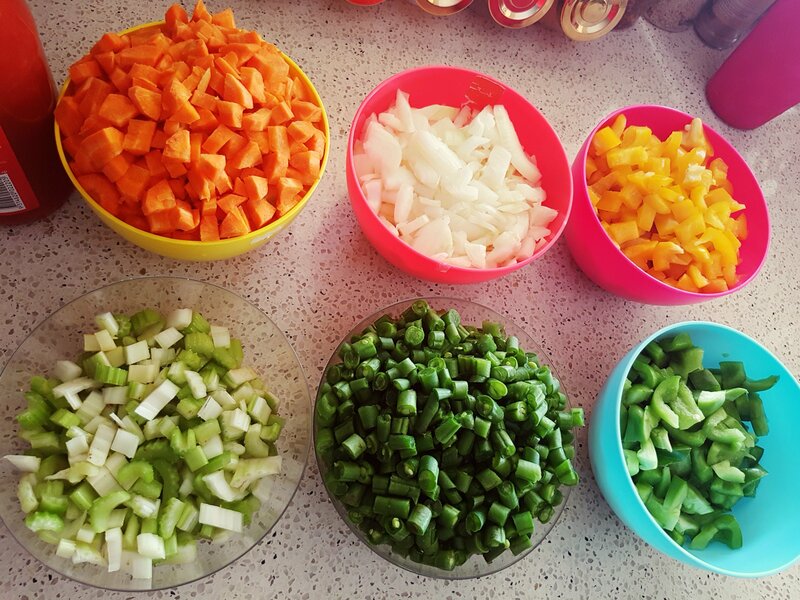 I steam my fresh vegetables for 3 mins and it looks so fresh and colorfu. 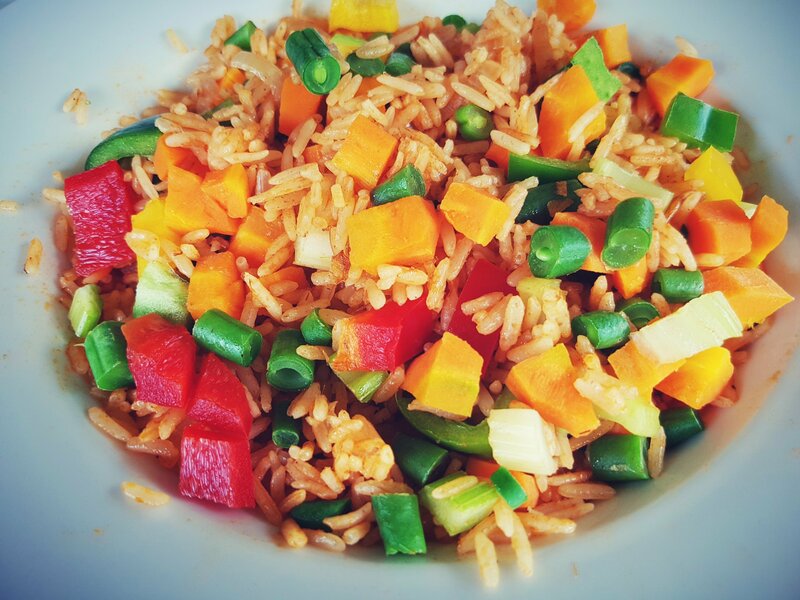 I used lots of vegetables for this fried rice and this makes it extra healthy. The diced celery gave it a wonderful flavor. The meat stock add more goodness to this fried rice not to mention the ginger and garlic paste.